Can I File For Bankruptcy On Student Loans? How Are Cosigners Affected By the Student Loan Crisis? When parents cosign loans, they are responsible for the consequences of a default. However, now more than ever, students and their parents have options to modify and in certain circumstances discharge student loan debt. For cosigners and borrowers weighed down by student loan debt, there might be a way out. Stories about parents going into debt for their children can be found across the country. In Pennsylvania, a mother and her son owe $115,000 in student loans. The woman had taken on student loans herself almost two decades ago to receive a Bachelor’s degree, a decision that landed her a higher-paying job working in an office. She wanted the same opportunity for her son, and she happily cosigned his student loans. Life has a way of throwing unexpected curveballs, and the son and his wife had to take care of their children, who spent the first years of their lives being treated for illnesses in hospitals. The son took a local job to be closer to his family, and as a result, left the higher-paying job and fell behind on his student loans. With his mother as a cosigner, this meant she was on the hook for the loans as well. Any consequences that could befall her son would happen to her too. Fortunately, student loan borrowers and cosigners have options for dealing with student loan debts. There is no black or white test regarding modifications and eligibility for hardship discharges. The fact is, that with student loan balances now routinely exceeding $100,000, and with those balances increasing quickly due to compound interest, courts are taking a more lenient look at what qualifies as a student loan eligible for a hardship discharge. Filing bankruptcy still allows student loan discharges if students and cosigners can prove that the loans are creating an unreasonable burden in their lives. As recent cases indicate, bankruptcy courts are now more willing than ever to consider student loans an undue hardship eligible for discharge. Our lawyers have had success negotiating with student loan lenders when an adversarial case is filed in the bankruptcy proceeding. In one case our firm handled that was featured in Missouri Lawyers Weekly, our attorneys reduced our client’s student loan debt by over $250,000. 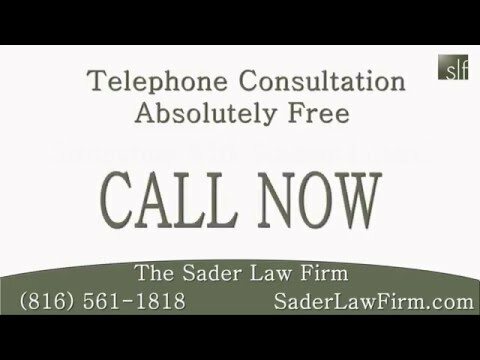 Continue to follow The Sader Law Firm on Facebook for regular updates on student loans and bankruptcy. Did You Know? More than 40 million Americans have student loan debt. This is greater than the population of most other countries.